IT HAS EVERY PAGE THE SOR PRINTED CATALOG HAS. Plus video and slide shows. It's far cheaper than paper to create and ship. The catalog CD content is updated on a regular basis. 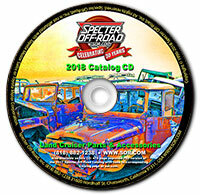 As products are added and removed to and from inventory the SOR Catalog on CD is updated. The last printed catalog was produced in September of 2008 and we don't foresee printing an update in the near future. It's pricelist is updated weekly and displayed along with the page for simultaneous viewing. It's pages are linked directly to corresponding pages on the SOR Internet Catalog. Simply click the "Shop this page..." button and purchasing becomes easy. The CD also contains a PDF version of the 2018 printable catalog. Ordering the CD will allows us to postpone printing or next catalog and keep our operating cost down. In turn, keeping our costs down keeps our prices low. The 2018 CD-CATALOG is FREE with a PURCHASE of $20.00 or more. 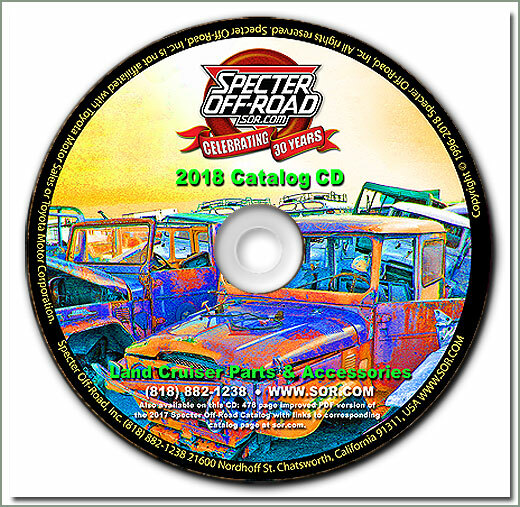 Specter Off-Road's famous 476 page catalog in a CD format - Requires Microsoft Windows XP and later, Mac OS10, CD-ROM drive, and 32 MB RAM. Includes SORs 2018 Catalog PDF, UPDATED WEEKLY Price List. FREE only with an order. You must add the catalog to your shopping cart, it will not be included automatically. 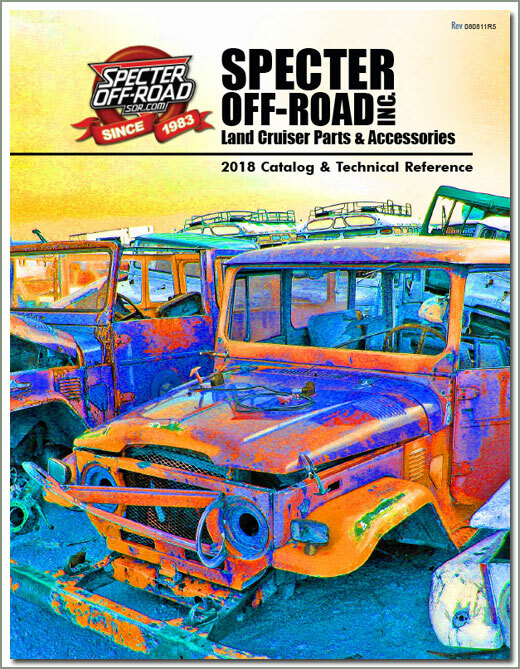 A current version of the 2018 Specter Off-Road Catalog and Technical Reference is now available for download. Clicking the link for the PDF version will open the PDF Catalog in another browser window. Due to the file size (60MB) it will take some time to appear. You can then use your browser options to save it to your computer. The new 2018 Specter Off-Road catalog has been improved over past versions. We’ve added and improved features to help you locate the parts you need. This catalog and reference features internal links from the table of contents to each section of the book to assist you in finding the pages and parts you need. We’ve also made ordering your parts easier. 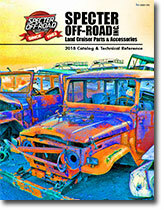 Each page of this catalog is hyper linked to its corresponding page at SOR.COM. As long as your device is connected to the Internet, clicking text, diagrams or images will navigate you to that web page making it easier to locate and purchase the parts you need. * Adobe Acrobat Reader is required. Get Acrobat now. †The PDF Catalog is also available on any SOR Catalog CD.